New gas pipes installed in Grenfell Tower as part of a major refurbishment had incomplete fire safety protection at the time of the fire. Today the Grenfell Inquiry heard from expert witness Dr Barbara Lane, a fire engineer at Arup, who said that on the night of the fire a new gas supply installed in 2016 to replace a decommissioned gas riser had “incomplete compartmentation works and incomplete ventilation works”. Dr Lane said she understood the fire safety work required for the pipes was planned for June 2017 but she has “seen no evidence that any of those works had commenced by 14 June 2017”. Residents in the tower had raised concerns about the safety of the gas pipes before the fire. Inside Housing previously reported that during the work to install the new pipes the fire stopping had to be partially removed. The Guardian has reported that the National Grid assured the council in March last year that the pipes would be fire protected but two thirds of the lateral pipes were still exposed when the fire broke out on 14 June. The old gas riser was decommissioned after a leak was discovered. The new gas supply was routed vertically through the protected stair from levels 2 to 21, just over 70% of the flats in the tower had a gas supply. Horizontal pipes were installed which penetrated the compartment walls and this was the case on every level that required a gas supply, Dr Lane said. 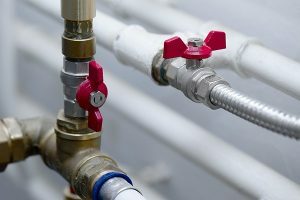 The fire safety building regulations guidance – Approved Document B – says shafts containing piped flammable gas should be adequately fire protected with ventilation at a high and low level in the shaft.